Despite all the reporting on Ukraine, there is one aspect of the war which, perhaps not surprisingly, has not made it to most media outlets. The democratic West has largely ignored the revelation made by the Estonian Foreign Minister Urmas Paet, in an intercepted phone discussion with EU foreign affairs chief Catherine Ashton, that “that there is growing evidence that the snipers were under the control of the new Kiev authorities, and that the same snipers were shooting BOTH police and protesters! It has also ignored Ashton’s response: “Well, yeah, that’s really terrible”. So what is the EU going to do about it? How come the EU wants to interfere in everything else in Ukraine, but give nothing more than a throwaway remark to this institutional murder committed simply to inflame the conflict further? I have Jewish-Ukrainian friend who has family in Ukraine, whose father and grandmother survived a concentration camp after being turned in to the Germans by their Ukrainian neighbours for being Jewish. Somehow they escaped from a ghetto work camp in East Ukraine before it was closed and its inmates sent to death camps in Poland. This woman has family members working in the Security Services. Two days after the first deaths in Maidan Square she told me that, according to these family members, the snipers were killing members of both sides equally. The intercepted phone call has since confirmed this information. Paet also mentioned during the same conversation that “There is now stronger and stronger understanding that behind the snipers, it was not Yanukovich, but it was somebody from the new coalition.” This too is only just beginning to be investigated, as it undercuts the Western position. If it is the new government, not the old, which is killing people the West cannot continue supporting it unless some action is taken against the culprits. There has been no such action, the deaths of a few Ukrainians being considered a sufficient price to pay for whatever the West seeks to achieve in their country. If the Kiev snipers are ever investigated the conclusion which will have to be drawn, to save political face, is that if anyone misbehaved they were rogue individuals, acting alone, with dubious pasts which provoked them to kill. One wonders how many times the ghost of Lee Harvey Oswald can be dragged up and pinned on other people while it is still maintained that he too acted alone. For several years there has been a practice of governments paying snipers to shoot people indiscriminately in Eastern Europe. It dates back to at least 2008, when snipers operating in Georgia and trained by US contractors were employed to kill civilians in South Ossetia even before the 2008 Georgian-Russian war. This information has been confirmed by one of the snipers involved. Information is still unfolding about the various funding source behind various events in Ukraine. However, we do know that there is a direct connection with what went on in Georgia in 2008. It was reported several weeks ago in Interpress News that four of the snipers in Kiev were in fact Georgian nationals. 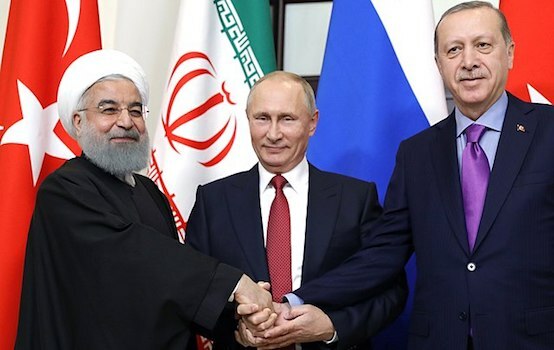 The source for this story was Georgian General Tristan Tsitelashvili (Titelashvili), who later confirmed this in an interview with Rossiya TV. Tsitelashvili claimed that at least four of the snipers shooting at people in Maidan Square were under the command of former Georgian president Mikheil Saakashvili, who is doing his best to destabilise his own country, and others if necessary, to find a way back into power. “I know the identity of the four people who were there, as snipers, but I can’t name them as an investigation is underway. The materials will be sent to the Prosecutor’s Office in two weeks. I can tell you that these people were former officials under Saakashvili government. The previous government trained them for such work. Their teams in Kiev were led by Givi Targamadze and Gia Baramidze”, Tsitelashvili said. Targamadze and Baramidze are well-known members of the former Georgian government, with warrants hanging over them for various offences committed during that period. This too has been confirmed by one of the snipers involved. He is currently in hiding, living without papers. He tells me that most of his colleagues have been terminated. Given what they might know, and what happens to those who know, I am inclined to believe him. When Saakashvili was in power he never undertook a major programme, such as training “counterterrorism” operatives, without US approval and funding. 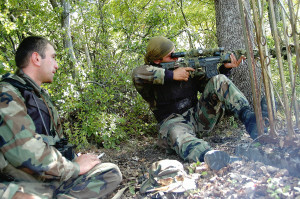 Some of the snipers used in both Georgia and Ukraine were trained under an antiterrorism programme prior to the 2008 War, specifically by John Giduck, founder of the Archangel Group, a US-based security and anti-terror training agency. Giduck was not the obvious choice to run such a programme. He makes his living appointing himself an authority on the tactics and training of Special Forces but had no actual experience of doing this before being appointed to do so on the basis that he DID have such experience. There are deadly consequences to such on-the-job training. But then this is Georgia, the country which also bought useless bomb detectors, which were in fact golf ball detectors, from conman James McCormick, who is now serving 10 years in jail for selling them. Giduck advertises himself as a world-calibre authority on radical Islam and counter-terrorism, a claim experts take exception to. He even claims to have been tutored in counter-terrorism by “Putin’s boss,” the former head of the KGB, and trained with Soviet-era Special Forces, during a visit to Russia late in the Gorbachev era. If true, this would disqualify him from being a US Department of Defense contractor in the first place, but apparently Georgia did not see this as an obstacle. 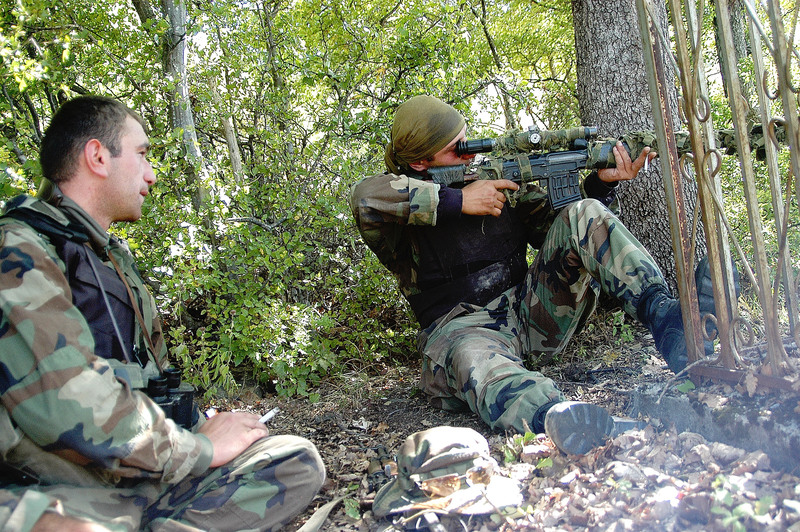 As in Ukraine, seven or eight South Ossetians ended up dead when used for target practice by Archangel’s team of Georgian and American snipers in July 2008, before the Georgian attack on South Ossetia. We also know from one sniper called Emzar, a Georgian national who has fought with Chechens in Russia, that the trained snipers were also involved in operations to terminate other Special Operations staff – as in the so-called “Anti-Terrorist Sweeping Operation” in the Lopota Gorge in Eastern Georgia in August 2012. My sources, and many others, claim that the Lopota operation was a staged ambush, designed to eliminate anyone who could talk about Georgian government sponsorship of illegal operations dating back to when the Pankisi Gorge was first set up by US intelligence to train terrorists for use against the Russian Federation. About seven or eight targets were killed outright, in the same way the sniper I spoke to claims his colleagues were. It can be reasonably concluded that the snipers killing people indiscriminately, and illegally, in Ukraine were trained by the US, through dodgy contractors they dare not employ at home, as there is a direct link with the operations in Georgia it was undoubtedly behind. The same personnel and the same methods were involved, and possibly we will see the same outcomes. Does Georgia’s experience give us any clue as to what will happen now the cat is out of the bag, even though the lack of mainstream reporting is desperately trying to put the cat back in? The survivors of the Lopota Gorge operation, both snipers and targets, were provided with Georgian passports if, like the Chechens imported there and paid well to conduct terrorist operations, they were not already Georgian nationals. They crossed the border to Turkey at the Vale crossing point, near Georgia’s Akhaltsikhe and the Turkish village of Türkgözü, with the assistance of Valeri Zumbadze of Georgia’s Counterintelligence Department and the approval of the US Embassy. They were given safe conduct to – strangely enough – Syria. They were met there by CIA assets who promptly eliminated them. The Georgian operation had gone wrong, they did not want it coming back to haunt US foreign policy. But some of those involved have survived, and are sharing information with trusted members of the Russian and Georgian media, including the US-based military and foreign affairs journal Veterans Today, whose legal teams are not justifying their salaries by ordering them not to run the story. The US and EU are not going to hold their new friends in Ukraine accountable, even though they have now publicly admitted certain previously known facts about them, such as their neo-nazi links. Therefore, more people will have to be eliminated, but not Ukrainians. Former Georgian president Mikheil Saakashvili has been directly linked to the sniper team used in Ukraine against police and civilians alike. 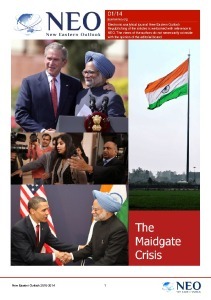 He is not in power now; no strategic relationship will be damaged by pinning the blame on him. So one way or another, he is the most likely fall guy. If the story cannot be hushed up Saakashvili will have to face a war crimes tribunal. Any involvement he had in any war crimes could only have occurred through the funding, support and encouragement of the US. He knows more than anyone who really did what, so if he is indicted, he will have nothing to lose by singing louder than any canary yet discovered. Goodbye Misha, it wasn’t even nice knowing you. There’s no need to repatriate the body, people will only want to examine it.